DreamWorks’ Ghost In The Shell adaptation, which has long been in the works, is closer than ever to assuming its final form—not only does the studio have a new distributor in Paramount, but it’s also just found its villain. 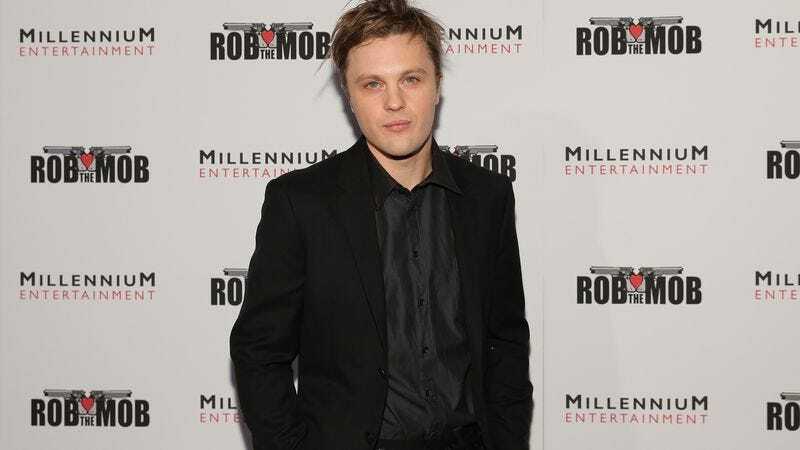 According to The Hollywood Reporter, Michael Pitt (Boardwalk Empire, The Dreamers) has been cast opposite Scarlett Johansson, who signed on more than a year ago to play the lead. Rupert Sanders (Snow White And The Huntsman) is directing with a script from Jonathan Herman (Straight Outta Compton), and production is slated to begin later this month in New Zealand, with the release date still set for March 31, 2017. Pitt will play The Laughing Man, a corporate terrorist hacker with a penchant for J.D. Salinger. The character was the main antagonist in the first season of Ghost In The Shell: Stand Alone Complex, whose cyber attacks on the Japanese government made him kind of a populist hero, unwittingly inspiring others to mimic his work. The Laughing Man, who borrows his name from the eponymous Salinger short story, disguises his face with superimposed mirth, a visage that’s since been co-opted by so-called hacktivists in real life. That connection serves as a timely reference, and is presumably why the filmmakers opted not to set Johansson’s Motoko Kusanagi against The Puppeteer, the villain from the original manga and film.